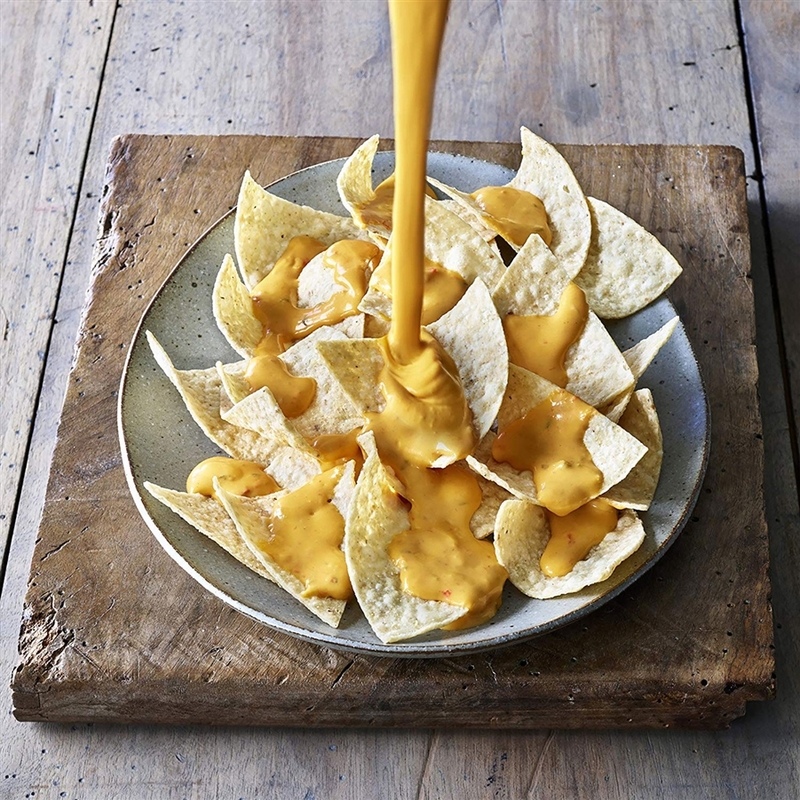 This zesty cheddar sauce is vegan, gluten free, and soy free. Deliciously dairy free! Pass the chips. More guacamole, please. Who’s hungry for a meat-free taco salad? 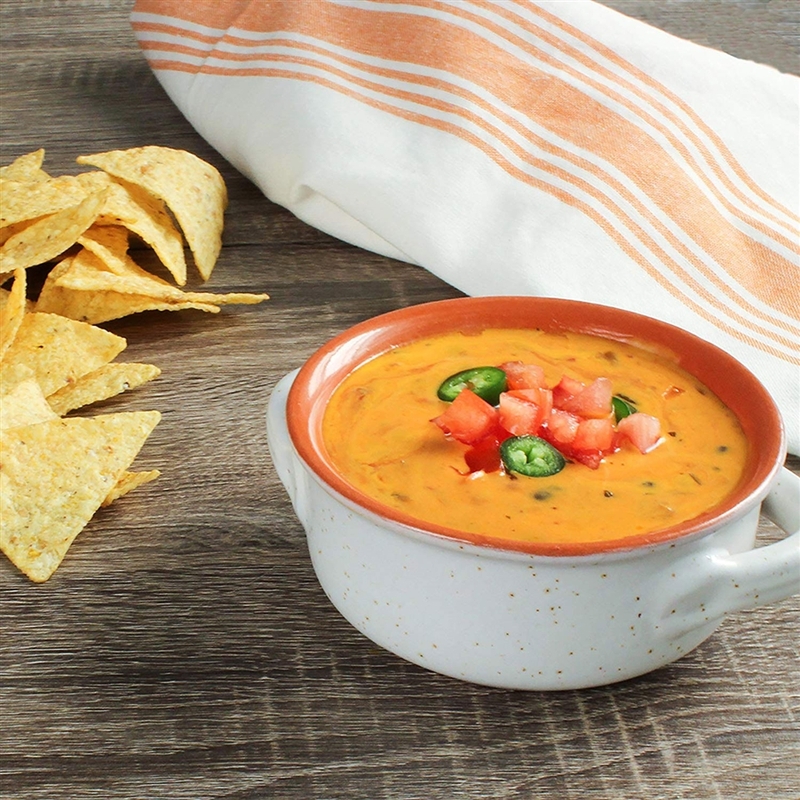 Daiya's new Zesty Cheddar Style Deluxe Cheeze Sauce is ready to please with just the right amount of jalapeños, bell peppers and onion. Liquid, not powder. Three packets per box. Excellent source of calcium. This sauce is gluten free, dairy free, soy free, lactose free, and cholesterol free! Each packet contains 2 servings, each box contains 3 packets. 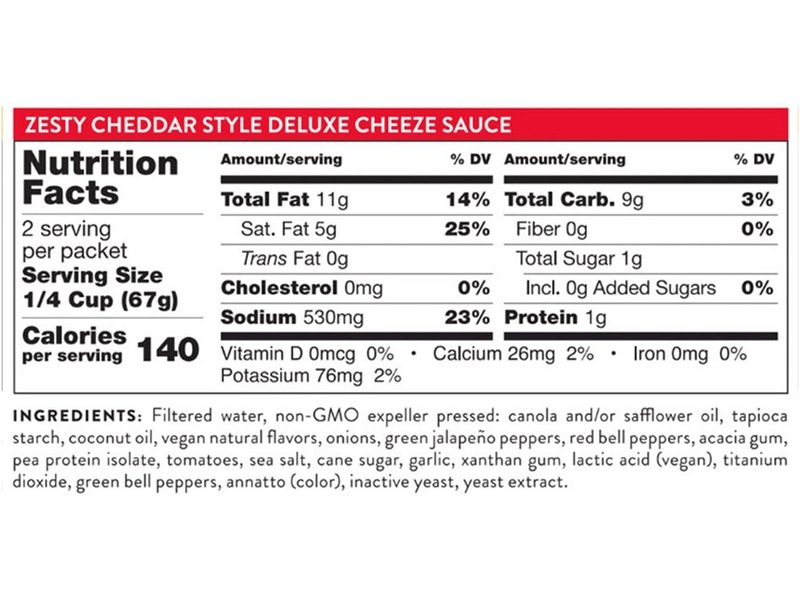 Each box contains a total of 6 servings of rich vegan zesty cheddar style sauce.